I came across this editorial cartoon while researching this morning. A lot of people tend to think of the “Green” movement as a recent development, but popular concern for the well-being of the natural environment in B.C. was widespread a century ago. 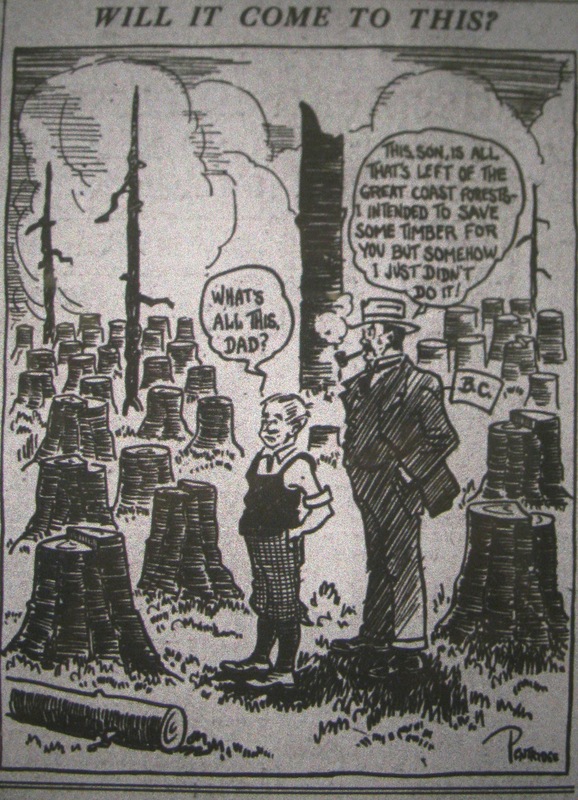 “Will It Come To This?” Vancouver Province, 21 July 1929. Has it come to this? Most of the remaining old-growth forest in this province is in difficult-to-access mountain areas that were less profitable to early logging operations and eventually became protected through parks legislation. Yet another reason to be grateful for mountains.